dsPIC33EP128GS DSP Family of Signal Controllers Microchip's dsPIC33EP128GS DSP family is ideal for applications that include AC/DC and DC/DC power supplies and LED and HID lighting. 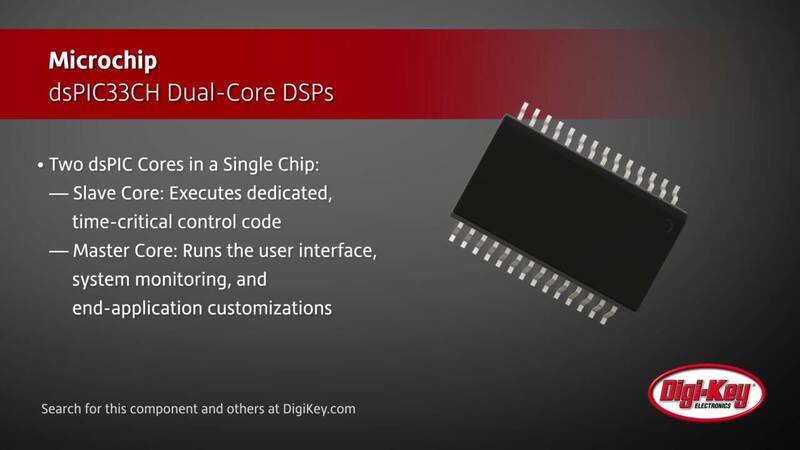 Enhanced dsPIC33E DSCs and PIC24E MCUs Microchip's dsPIC33E DSCs and PIC24E MCUs enhanced for greater I/O capabilities along with improved motor control, graphics, audio, and real-time embedded-control. Can an Analog Power Engineer Use Digital Power Solutions? Power supply designers use embedded processors for adaptive control to enhance regulators for point-of- load (POL) conditions and overall power architectures.